Molding and carving have never been so fun! Bubber is a soft compound that leaves clean, sharp lines and takes amazing imprints. Winner of the Creative Child Magazine Kids Toys of the Year and Dr. Toy 100 Best Products Award. Have fun carving, molding, and stamping in a soft compound that leaves clean, sharp lines and great imprints. 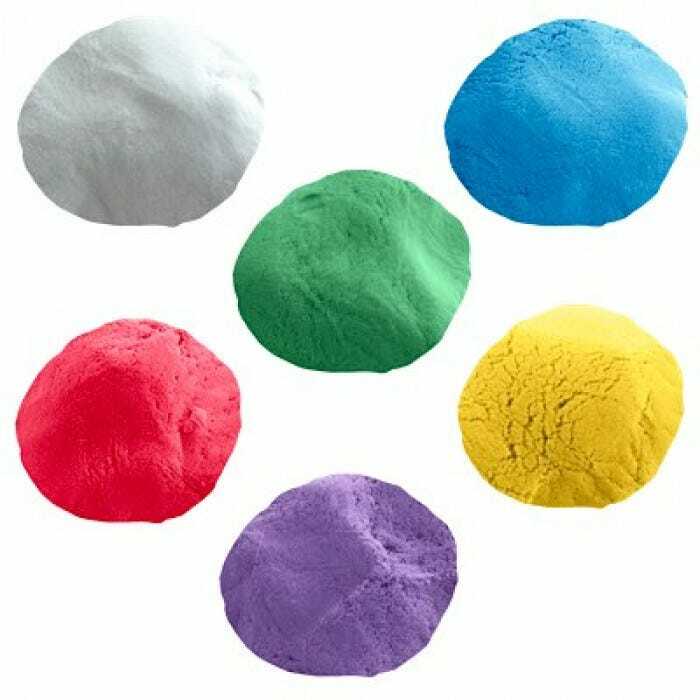 Unique, soft, marshmallow-like moldable dough which can be cut, shaped or rolled for continuous play. Easy to clean up and won't stain or leave a residue on hands or surfaces. 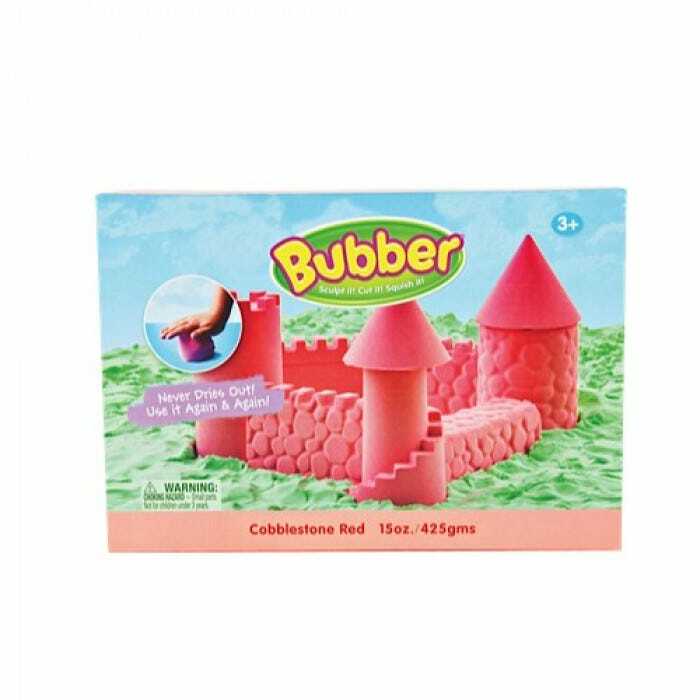 Bubber is non-toxic and never dries out, so it can be used over and over again for unlimited hours of fun. Feels light as air and fluffy as a cloud. Smooth texture appeals to people with sensory issues. 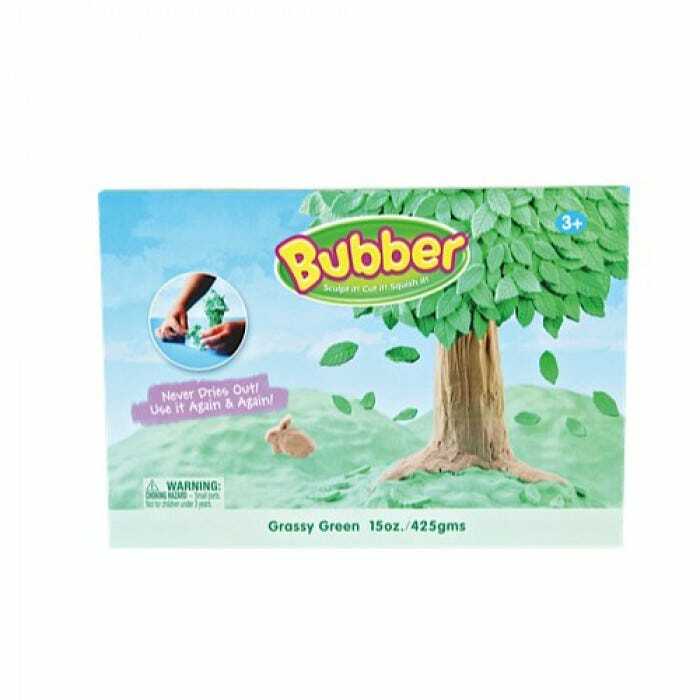 Bubber is a creative way to encourage sensory, problem solving, cognitive and fine motor control development. No grit, no sticky residue, non-staining, and never dries out. 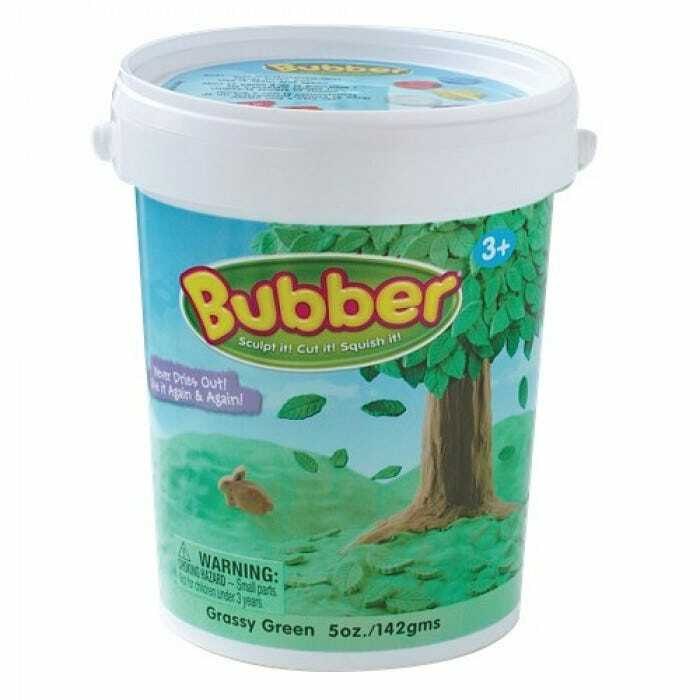 7 ounce Bubber comes in a handy bucket for easy storage. 21 ounce Bubber comes in a box. Q:There's Bubber in my carpet! How do I clean it? 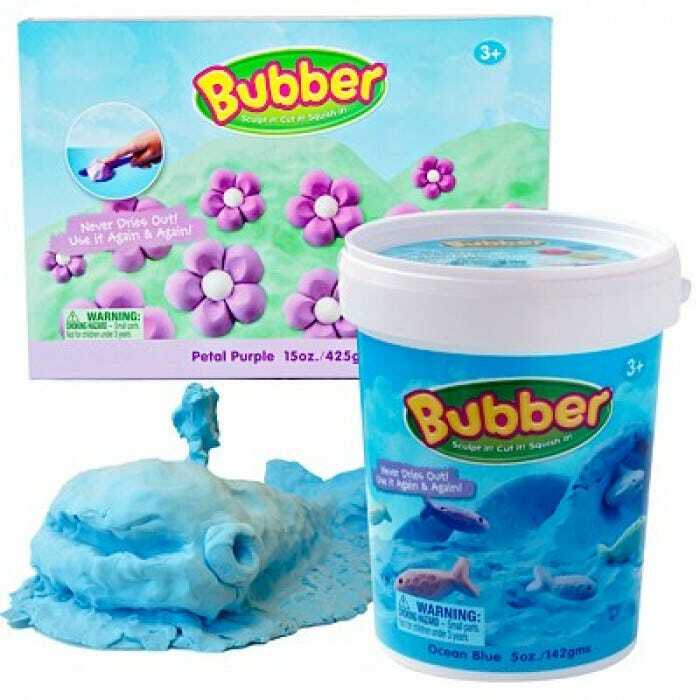 A: Bubber only sticks to itself and silicone. Pick up any large clumps, then pull out the vacuum. If you still see any blue bits after vacuuming, Bubber breaks down in water, so spray a little water on it, let it sit then blot it up. Q: Is there a way to clean Bubber? 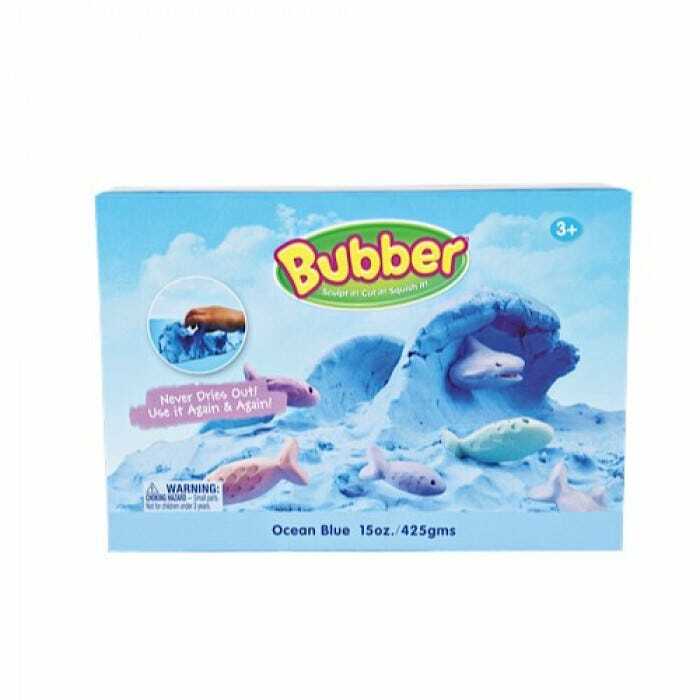 A: Bubber can not be cleaned, but it is naturally anti-microbial. There is also no moisture in Bubber so bacteria cannot grow in the compound. 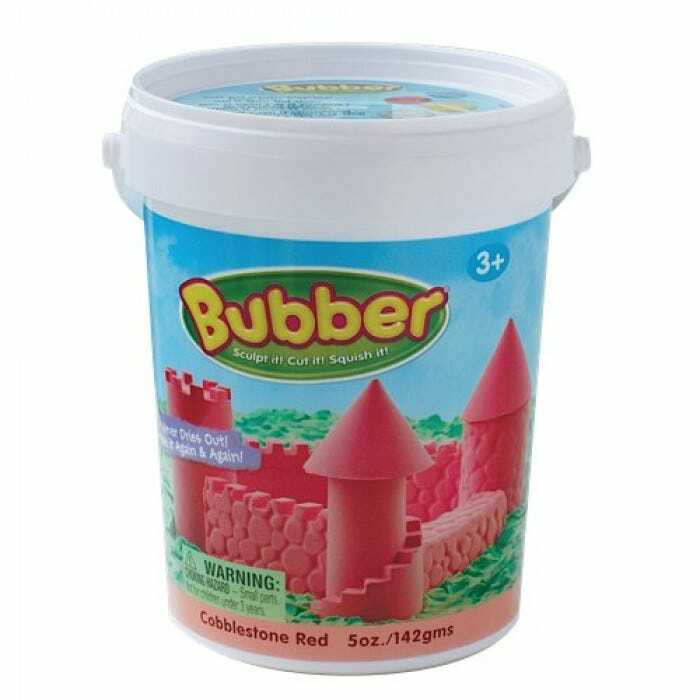 Q: Can Bubber get wet? A: Bubber will break down in water, but drool should not be a problem. Q: Do I need to seal my Bubber in an air-tight container? A: Because it contains no moisture, Bubber will not dry out even when left out in the open for months. 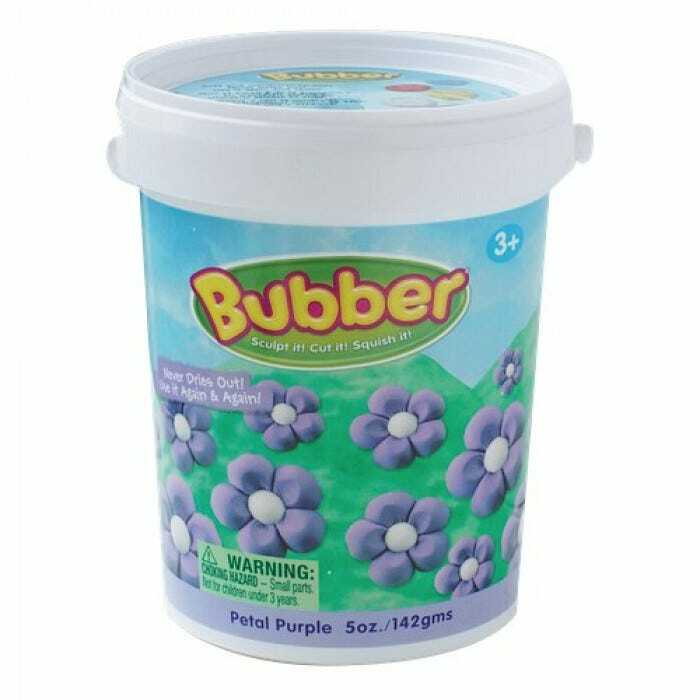 However, to keep out dust and other dirt particles, we do suggest storing your Bubber in a clean, sealed container, like the handy bucket it came in. Q: My child is allergic to gluten, is Bubber safe for them? A: Yes, Bubber is 100% Wheat, Casein and Gluten free. It is not a dough, therefore does not have have the common allergens that leading doughs have. It is safe and non-toxic. If your child develops an irritation or rash, we recommend that you discontinue use. 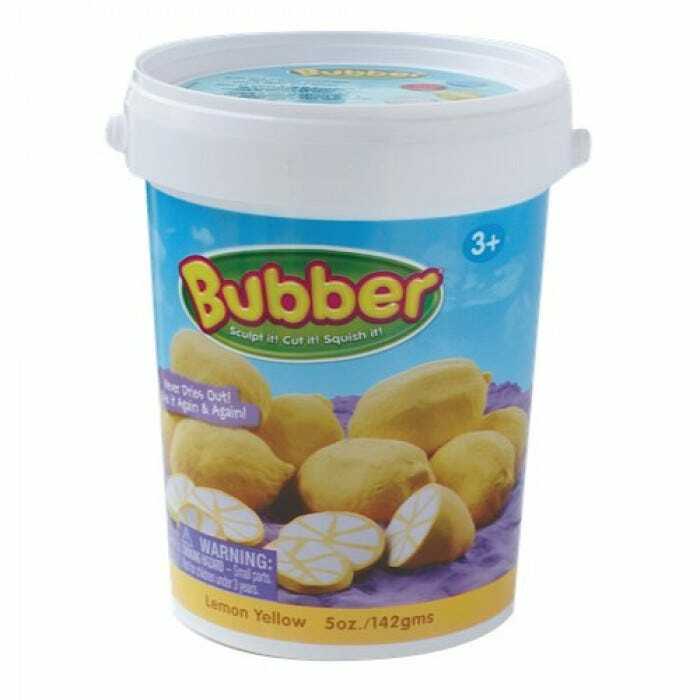 My child ate some Bubber. What do I do? 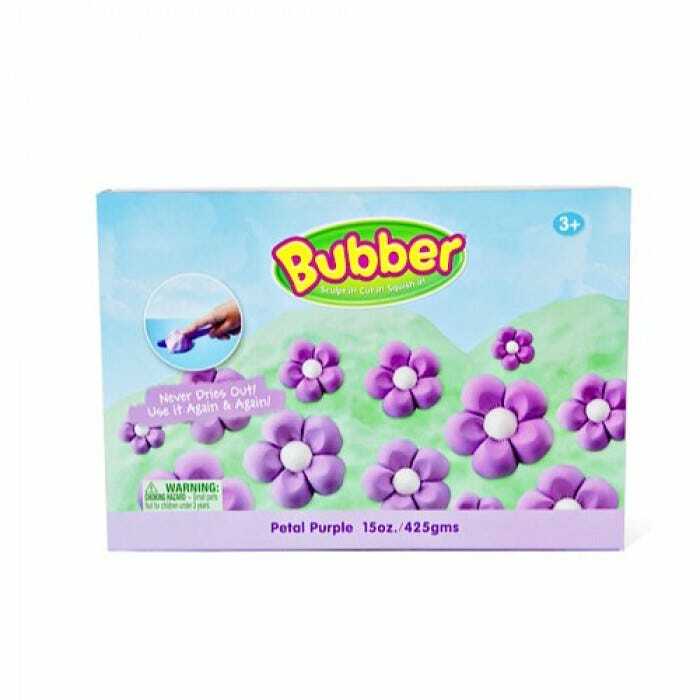 A: Bubber is 100% safe and non-toxic. It breaks down quickly in water, so try to get your child to drink a glass of water. There is no need induce vomiting, the product will dissolve quickly and your child will not notice. 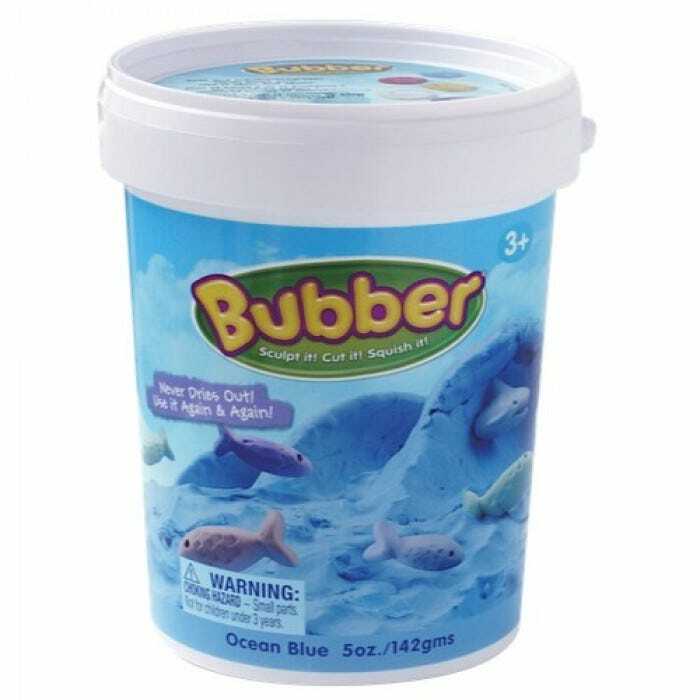 Bubber does not taste good and gets really gritty in your mouth, so your child probably won’t want to eat it again. Our pet just ate Bubber. Do we need a vet? Bubber is not tested on animals. It breaks down quickly in water, so try to get your pet to drink some water. It's likely that most of the compound will have dissolved in the time it took your pet to eat it. If you are unsure how much Bubber your pet has consumed, or are concerned for your pet's safety, we suggest consulting with your vet. 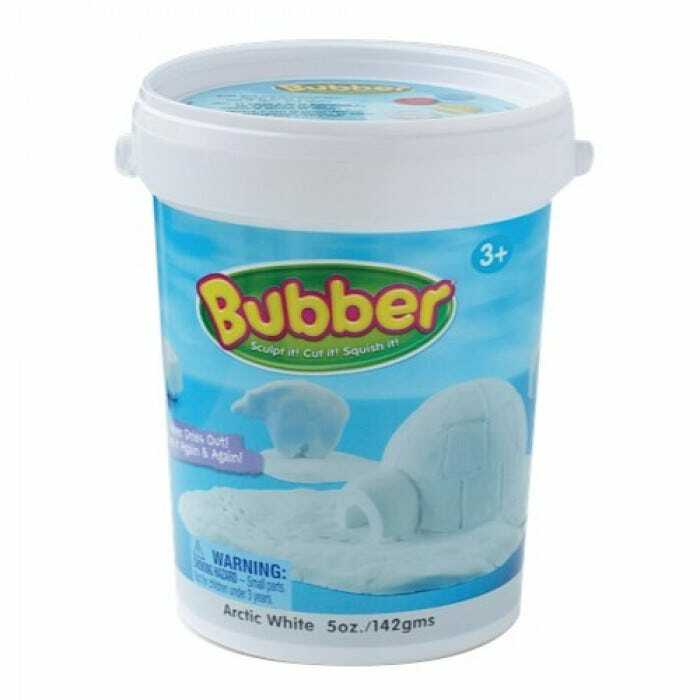 Store Bubber in its bucket to keep clean and dust-free. Do not get wet. Bubber will break down in water. Bubber is made from Silicone and it generally does not stick, dirt usually falls out. The compound does not want to pick up things. There is no oil or water, so bacteria will die on its own; Bubber does not harbor growth.